Action is set to be taken after concerns were raised about disabled access at The Ratepayers Arms. Filton resident Helen Johnson visited the council-run pub with a group of friends for a quiz night on Saturday, March 2. One member of the group was a wheelchair user, who struggled to use the facilities during the evening. 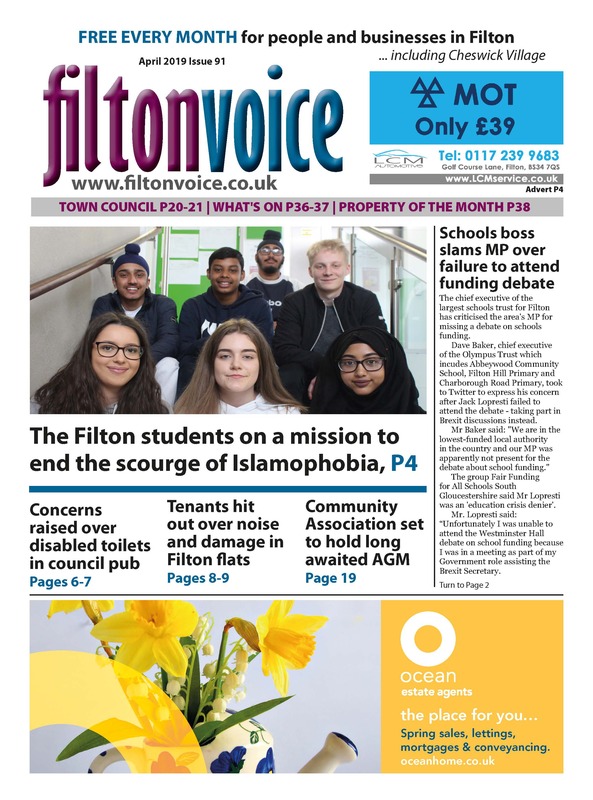 Speaking to Filton Voice about his experience, the friend, who did not wish to be named, said: “I use a standard NHS wheelchair, and I found getting around the building very difficult due to there being narrow doorways and corridors that are tight to turn around in. “During the evening we were in a room just off the bar, which is accessed down a slope. “It wouldn’t have been possible for me to wheel myself along this slope due to its steepness, and I had to rely on a friend to help me. “In order to access the men’s toilets there was a very tight corner, and inside there was one cubicle which was apparently disabled friendly, however it only had a commode frame over a low slung toilet pan and there were no grab handles on the wall. “In addition I also couldn’t get the wheelchair in and close the door at the same time, which gave me no privacy at all when other people walked in. “Following this, I used the ladies’ toilets after a friend checked that no one was in there. The ladies’ disabled cubicle has a handle, but it is still a low slung toilet and I still couldn’t get the wheelchair in and close door, which made it very embarrassing for the ladies who wanted to use the toilets while I was in there. “The council’s claim that it’s accessible for disabled people is fairly mistaken, as if you’re in a wheelchair it is very difficult to get around the building, even in the bar area there are tables all over the place. “The doors also have powerful springs on them, which are impossible to open with one hand when you are trying to manoeuvre through at the same time. Before the evening, Helen had contacted The Ratepayers to ask about disabled access and their facilities. Speaking to Filton Voice, she said: “I asked the question and the council staff told me they had the facilities and I believed them. However the facilities may be OK for somebody walking with sticks but are not fit for purpose for wheelchair users. Helen took to the Filton News and Views Facebook group to express her concerns about disabled access, and in response the Town Clerk for Filton Town Council, Lesley Reuben, said: “We are aware of this upsetting incident and have are taking steps to resolve these issues. We have been applying for grants to help with the cost of refurbishment but all this takes time. Work is about to be scheduled… we were hoping to complete the works all in one go however financial restrictions mean it will have to be done in stages. “We will start with improving the disabled facilities and progress through to improve the toilet facilities generally. The Equality Act 2010 states that organisations have a duty to make reasonable adjustments in order to ensure that disabled people receive the same services, as far as possible, as someone who is not disabled. Further updates on this story will be covered in future editions of Filton Voice.